What does it take to be a professor? That is exactly the type of question the McNair Scholars Program wants students to ask early on in their undergraduate years. The national program prepares talented students who are first-generation and low-income, or from other underrepresented groups, for doctoral study. 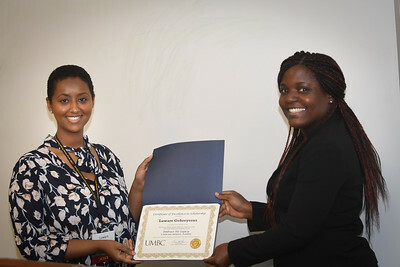 Over 200 McNair Scholars from UMBC and other universities across the nation recently gathered at UMBC for a McNair Scholars National Research Conference to share their work and connect with faculty mentors and each other. The McNair Scholars Program was created in memory of Ronald E. McNair, physicist and NASA astronaut who lost his life on the Challenger mission. UMBC has carried on McNair’s legacy for 26 years through a highly active McNair Scholars chapter. 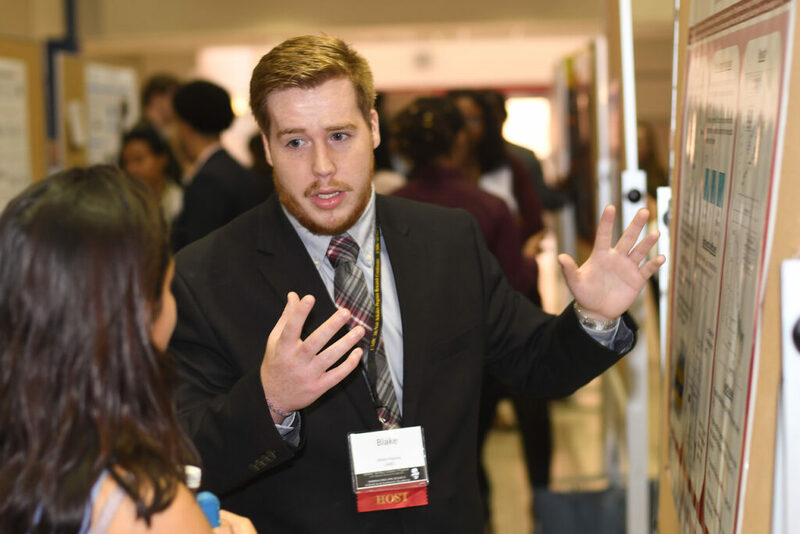 Over 300 UMBC students have tapped into the academic, social, professional, and personal support the national program offers via workshops, trainings, conferences, and networking events. Students traditionally enter the program their junior year, but applicants are welcome to apply earlier so they can benefit even more. Gebreyesus accepting a certificate from Margaret Kessie ’22, M.A., teaching English as a second language. 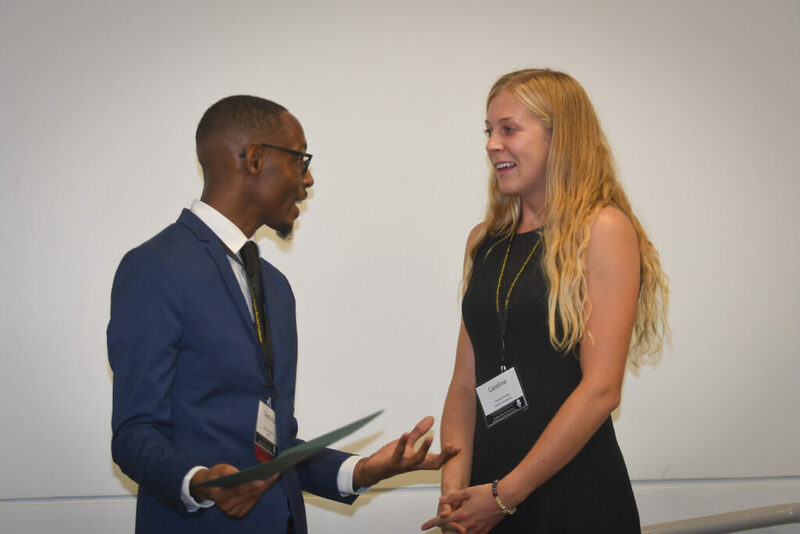 While the conference is a platform for UMBC student scholars to share their own research, it also offers them important opportunities to gain skills organizing and hosting an academic conference. Networking is also a fundamental part of the experience. Students value the opportunity to connect with peers with similar backgrounds, and also practice the skills involved in building professional relationships. Blake Hipsley presenting a poster on new ideas for imaging frequencies. Mentorship is crucial to the success of McNair Scholars. 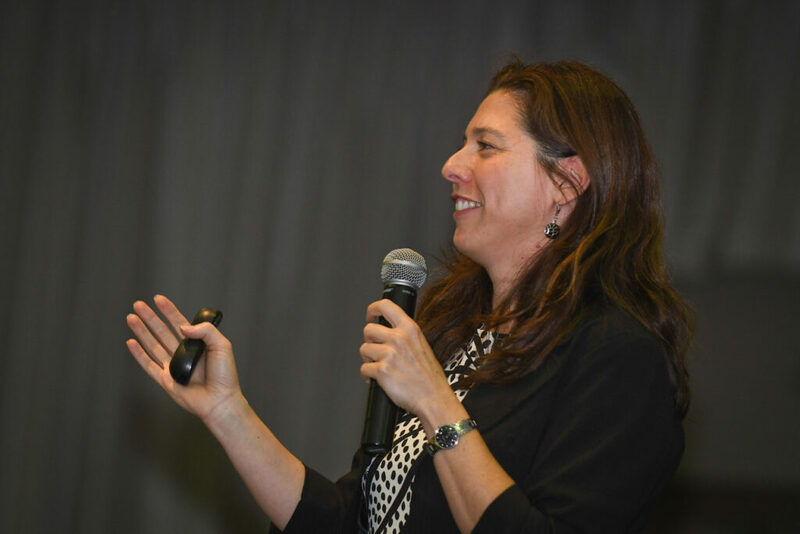 Faculty, staff, and alumni can become McNair Mentors or Faculty Research Mentors, to support students as they navigate the graduate school preparation process. Keynote speaker Maria Sanchez sharing inspiring words with McNair Scholars. Christine Hawn and Earl Brooks, who are both McNair alumni and UMBC faculty. Participating students also spoke to the profound impact that mentorship can have. 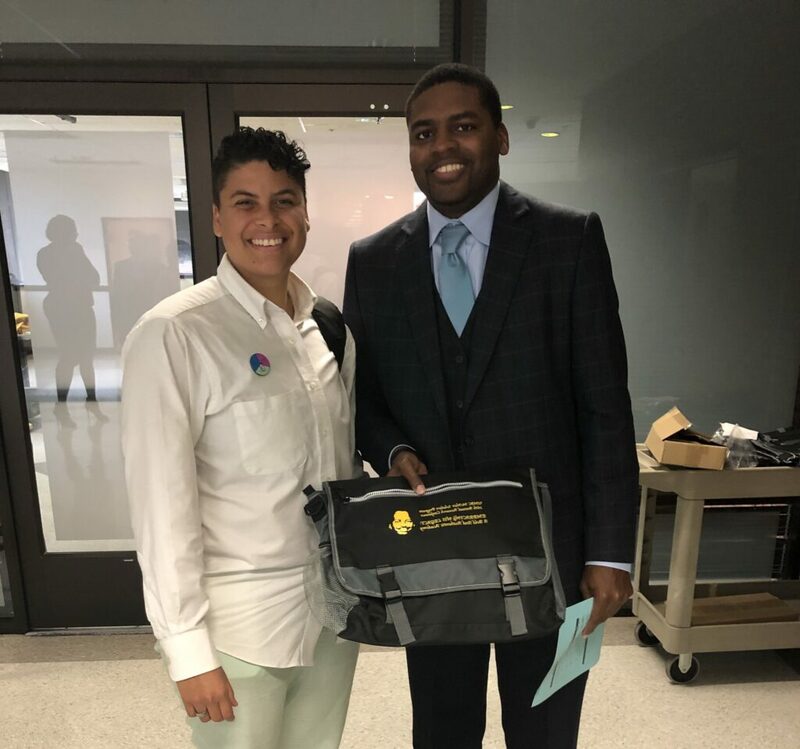 Damarius Johnson ‘19, Africana studies, transferred to UMBC from the Community College of Baltimore County Essex, where he learned about the McNair Scholars and about UMBC as a place to help him prepare for his Ph.D. aspirations. Damarius Johnson networking with another scholar. As assistant director of the McNair Scholars Program at UMBC, Michael Hunt ‘06, mathematics, Ph.D. ‘25, language literacy and culture, sees the program’s impact both in the opportunities it creates for students and in the value of scholarship those students produce. “McNair scholars are doing important work in math, science, the humanities, and the arts,” he notes. Current and prospective UMBC students can learn more about the McNair Scholars Program by completing this brief interest form at any time. The application window is December 1 – February 8. Faculty and staff interested in mentoring can contact program staff at any time through the McNair Scholars website. Banner Image: McNair Scholars induction ceremony with Michael Hunt, assistant director (right). All photos by Eric Stocklin.